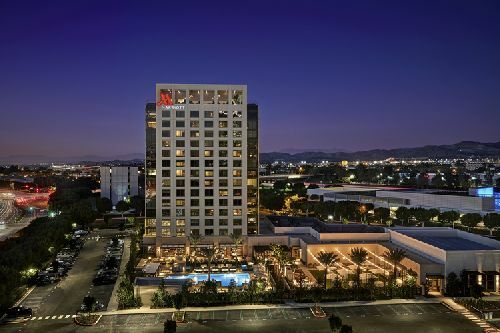 Construction has been completed on the new, $120 mil Irvine Spectrum Marriott hotel, developed by Spectrum Gateway Hotels LLC. The 271-room hotel, built by R.D. Olson Construction and designed by renowned international architecture firm WATG, is the first new full-service hotel in the city in 10 years. The Irvine Spectrum Marriott offers over 9k sf of indoor meeting facilities in up to seven room configurations and a large event lawn to accommodate corporate events, parties and weddings. It has one of the highest and largest rooftop lounges in Orange County with a full-service bar and sweeping 360-degree views. Interior architecture for the hotel was completed by Monogram, and interior architecture and design for the hotel’s on-site restaurant and rooftop terrace was driven by Steven Langford Architects.